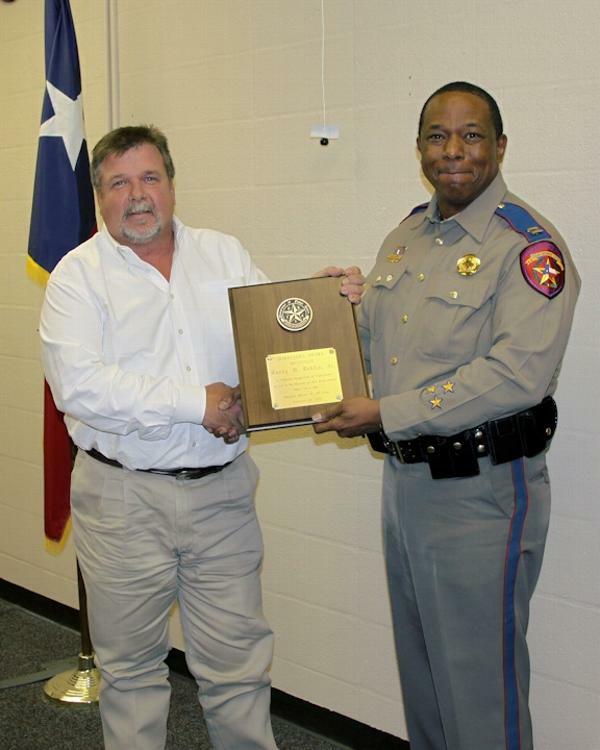 Livingston's own Larry B. Reddin, Jr. (left) is presented the Director's Citation from the Texas Department of Public Safety (Captain Larry Allen pictured presented Reddin with the prestigious award). 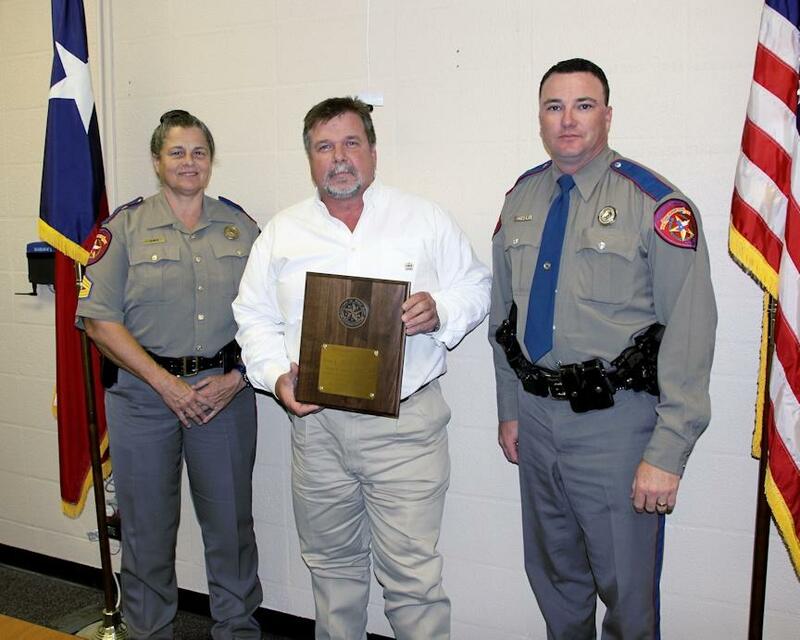 Local Hero Receives Prestigious Award from The Texas Department of Public Safety, BEAUMONT, June 1, 2012 - Shortly after 10 am on May 31, 2012, local hero Larry B. Reddin, Jr. of Livingston was officially recognized and awarded for putting his own life on the line to save another. On December 19, 2011, Larry witnessed a terrible accident off Myrow Road (just off US-146 about 7 miles south of Livingston City Limits). The driver of a pickup had blacked out, and left the road, crashed into a berm. The truck had caught fire fire. Reddin ran to the truck to check on the driver (55 year old Janet Lee Parmer of Livingston). Parmer was unconscious in the burning truck. Seeing the immediate danger Parmer was in, Reddin put his own life on the line, smashed the window of the truck, crawled inside the burning vehicle and pulled Parmer out to safety. Reddin dragged Parmer around 30 yards away from the vehicle, when he turned around, the truck was completely engulfed in flames. On Thursday (May 31), Reddin was officially recognized when he received the Texas Department of Public Safety Director's Citation. The Trooper who investigated the accident (David Flowers) put in for the award for Reddin the day of the accident. Local Troopers David Flowers (right) and Sergeant Nita Bowen pose for a picture with Reddin. Flowers investigated the accident and put in for Reddin to get the award. Bowen is Polk County's top Trooper.